1821: Christian Science founder, Mary Morse Baker, was born in Bow, New Hampshire. 1843: Mary Morse Baker married George Washington Glover who died six months later. 1853: Mary Baker married dentist Daniel Patterson. 1856: Mary Baker Glover Patterson suffered debilitating illness for the next several years and tried a variety of popular alternative remedies. 1862: Mary Baker Glover Patterson visited healer Phineas Parkhurst Quimby and was temporarily healed. 1866: Mary Patterson fell on the ice and was seriously injured; three days later she was healed. 1870: Mary Patterson maintained a healing practice and began teaching classes on spiritual healing. 1873: Mary Patterson divorced her husband on grounds of desertion. 1875: Mary Patterson p ublished the first edition of Science and Health with Key to the Scriptures , which became the mainstay of Christian Science theology and practice. 1877: Mary Patterson married Asa Gilbert Eddy. 1879: Mary Baker Eddy and her students formed a church, Church of Christ (Scientist); Eddy was its ordained its pastor. 1881: Eddy founded the Massachusetts Metaphysical College to teach spiritual healing. 1881–1891: Eddy began a period of intense publication, including books and journals. 1889: Eddy closed the Metaphysical College, dissolved the church and moved from the Boston area to Concord, New Hampshire. 1892: Church of Christ (Scientist) was re-instituted as The First Church of Christ, Scientist. 1893: Construction of the Mother Church in Boston began. 1894: Eddy abolished the positions of pastors of branch churches and ordained Science and Health with Key to the Scriptures as pastor of first the Mother Church and later of all the branch churches. 1895: Eddy produced the Manual of the Mother Church , which continues to be the sole authority for the organization, publications and practices of Christian Science. 1906: The Mother Church Extension, with a capacity for 3,000, was completed. 1908: At the age of eighty seven, Eddy established The Christian Science Monitor . 1910: Mary Baker Eddy died. Christian Science founder, Mary Baker Eddy (1821-1910) was born to Mark and Abigail Baker in Bow, New Hampshire. The Bakers were active Congregationalists. Though Mary’s father, Mark, held fast to the Calvinist notion of predestination, she indicates that even at the age of twelve she disagreed and had heated theological disputes with him. According to Eddy, she joined the Congregational Church her family was attending when she came of age, but only after informing the pastor that she did not subscribe to the doctrines of either the fall or predestination (Eddy 1892). Illness plagued Mary Baker, first in childhood and later during her adult years. In her autobiographical writing, Eddy notes that her father was taught that her illnesses and frailty arose from her brain being “too big for her body” (Eddy 1892). These constant illnesses precluded her attending school, and so her brother Albert tutored her at home. In December, 1843, Baker married contractor, George Washington Glover. Two weeks later the Glover’s moved to his job sites, first in Charleston, South Carolina and soon after in Wilmington, North Carolina. George Glover died from yellow fever in June of 1844. Alone and carrying her first and only child, Mary Glover returned to her parents New Hampshire home. In 1849, Mary’s mother, Abigail died. Within a year Mary’s father remarried. A strained relationship with her new step-mother led Mary to move in with her sister, but Mary’s son, named George Washington Glover for his father, was sent to live with another family. Mary Glover married again in 1853 to dentist and homeopath Daniel Patterson and the newlyweds relocated to be near Mary’s son. In 1856, the family raising George moved to Minnesota; Mary Glover Patterson would not see her son again for more than twenty years. For the next six years, Mary Patterson suffered a variety of illnesses. Like many other white, middle and upper class nineteenth century women, she suffered from ailments that were, at times, debilitating (Ehrenreich 1978). Seeking a cure, she tried many of the alternative medicine treatments popular at the time, including hydropathy (water cure) and Sylvester Graham’s nutritional system. In 1862, she heard of healer Phineas Parkhurst Quimby and traveled to his practice in Maine. 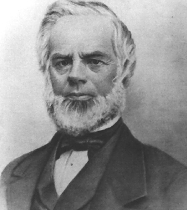 Quimby had studied mesmerism and developed his own system for healing, sometimes called, Mind Cure. The cure rested on the idea that since illness arose in the mind, freeing the mind of diseased thought would lead to healing. Mary Patterson found relief through Quimby’s methods as she spent time discussing metaphysical healing with him. Though a variety of sources cite Quimby, not Eddy, as the source of the healing system that became Christian Science, Gillian Gill’s thoroughly researched biography of Eddy soundly puts that idea to rest (Gill 1998). In 1863, Mary Patterson left Maine and rejoined her husband in Lynn, Massachusetts where her illnesses reappeared. Like other Quimby patients, she needed to be in close proximity to Quimby to sustain the healing. Life in Lynn was difficult for Mary Patterson. Her son, George, had been wounded fighting for the Union, husband Daniel was struggling to establish himself in a new location, she was often on the verge of homelessness, her marriage was faltering, and she was ill. In 1866, not long after Quimby died, Mary Patterson suffered a fall on the ice in Swampscott, Massachusetts. Her later writings indicate that her injuries were life threatening, but that she was completely healed by reading her Bible. She would come to see this moment as the key to her discovery of the principles of Christian healing. She began healing others, writing, teaching her ideas, and formulating what would become the basis for Christian Science. In 1875, she published the first edition of Science and Health with Key to the Scriptures, which, together with the King James Version of the Bible , constitutes the core of Christian Science theology and practice. Over the years, Eddy produced over four hundred editions of what she called the Christian Science textbook. In 1879, she married Asa Gilbert Eddy, a former student who she had healed and who had become a Christian Science practitioner under her tutelage. In that same year, Mary Baker Eddy and a small group of students formed the Church of Christ (Scientist). Soon after, Mary Baker Eddy was ordained its first pastor. 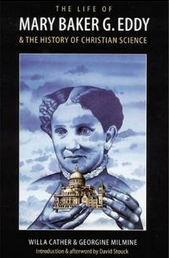 In 1881, she founded the Massachusetts Metaphysical College with a curriculum that included courses such as “The Principle and Practice of Christian Science or Mind Healing” and “Mental and Physical Obstetrics.” Mary Baker Eddy was a master of marketing and had a valuable product to offer. Americans had little trust in allopathic medicine and were turning to alternative forms of healing. In 1883, she published the monthly Journal of Christian Science that included articles on Christian Science Theology and testimonies of healing making her ideas available beyond the Boston area. The success of Mary Baker Eddy’s healing practice and her Metaphysical College solved the financial problems that had followed her since her first marriage. From the time she began teaching her healing system to the end of her life, there were attempts to wrest control of Christian Science away from her. In response, she carefully orchestrated the process of institutionalization. In 1889, she abruptly closed the Metaphysical College, dissolved her church and moved from Boston to Concord, Massachusetts. In 1892, she re-organized the church as the First Church of Christ Scientist. A year later, Eddy ordered the construction of a church building in Boston to be called the Mother Church, with a seating capacity of 1,000. In 1894, Eddy ordained Science and Health, as Pastor of the Mother Church in Boston. A year later she replaced all the men and women pastors of the branch churches with this text and the Bible. She continued developing the church organization and produced the first edition of the Manual of the Mother Church in 1895. A comprehensive text, it contains rules determining all functions of the organization from the order of worship in services to the election of the Board of Directors. The material in the 1908 Manual (the last version) cannot be changed without the permission of Mary Baker Eddy. Christian Science is known as a healing tradition, and indeed it is that, but it is quite distinct in its understanding of the nature of God, the nature of man (this is the term Science and Health and contemporary Christian Scientists use to discuss what others might call human individuals), sin, sickness and atonement. Christian science differentiates itself from most other forms of Christianity by insisting that the body, sin and sickness do not exist. Examining Mary Baker Eddy’s interpretation of the opening chapters of the book of Genesis as she presents them in Science and Health provides a basis for understanding fundamental Christian Science doctrine. For Eddy, the first chapter of Genesis represents Truth and the second and third chapters exemplify error. Genesis 1:26 begins with the statement: “ And God said, Let us make man in our image, after our likeness. . .” ( King James Version). And it continues in 1:27: “ So God created man in his own image, in the image of God created he him; male and female created he them.” Eddy explains that these verses mean, first, that humans are created through Divine Mind in the exact image of God, second, that God is Father-Mother, and third, that the entire creation including “man” is like God, spiritual, not material. For Christian Scientists, humans are the reflection of the Father–Mother God. In Science and Health, Eddy uses the metaphor of a mirror to explain what she means. Your mirrored reflection is your own image or likeness. If you lift a weight, your reflection does this also. If you speak, the lips of this likeness move in accord with yours. Now compare man before the mirror to his divine Principle, God. Call the mirror Divine Science, and call man its reflection. Then note how true, according to Christian Science, is the reflection to its original. As the reflection of yourself appears in the mirror, so you, being spiritual, are the reflection of God. The substance, Life, intelligence, Truth, and Love, which constitute Deity, are reflected by His creation; and when we subordinate the false testimony of the corporeal senses to the facts of Science, we shall see this true likeness and reflection everywhere. Since the all-loving Father – Mother God created “man” as God’s image and reflection, “man” is not material, and consequently is not subject to sickness, sin, or death since these are not part of God’s creation and hence are not real. To realize that the creation is spiritual, not material, is to exist in the reflection of God and to be well. To be sure, people can feel ill, but this is an error of the material sense. The second chapter of Genesis describes the creation of Adam from the dust and Eve from Adam’s rib. In Science and Health , Eddy asserts that this account is an example of error because it “ portrays Spirit as supposedly cooperating with matter in constructing the universe, is based on some hypothesis of error, for the Scripture just preceding declares God’s work to be finished. Does Life, Truth, and Love produce death, error, and hatred? Does the creator condemn His own creation? Does the unerring Principle of divine law change or repent? It cannot be so” (Eddy 1906). God did not, in her view, create Adam from matter, perform a surgical procedure to make Eve, or create sin, sickness, and death. Eddy sees the Adam and Eve story as an allegory that explains how the concept of material entered the world. For Eddy, the “deep sleep” Adam experiences as his rib is removed represents the entrance of the erroneous idea that the creation is material into the world. It is a mental thought, an “Adam-belief,” and “Adam dream” that has held sway over humanity. According to Christian Science, Jesus came to awaken the world from the error of the Adam-belief by revealing the true nature of God, creation and “man.” In his life, Jesus healed the sick and raised the dead by overcoming material error. His resurrection shows the eternality of “man,” the triumph of spirit over matter, and an awakening from material error to spiritual truth. Jesus, for Eddy, is the way-shower of the truth that “man is never born or dying” but is “coexistent with the Creator” (Gottshalk 2006). By diligently praying and reading Science and Health and the Bible, individuals can come to know their true nature and ultimately realize their perfect being. Christian Scientists do not believe illness to be real because the loving Father – Mother God would not create it. When someone suffers illness, it is because he or she is participating in the error of the material senses. Seeking medical treatment for an illness, though not prohibited by the church, is discouraged because participation in the belief in the materiality of illness through medical, rather than spiritual, treatment would accentuate the erroneous belief and actually lead away from true healing. Christian Science offers its own version of professionalized healers. Called “Christian Science Practitioners,” these individuals are trained through a twelve session course, The Primary Class, that was designed by Mary Baker Eddy and is offered by church approved teachers. According to one of the church’s websites, Healing Unlimited, authorized practitioners are considered professionals by the church and charge for their services, which focus on the prayerful resolution of problems that include “the whole spectrum of human fears, griefs, wants, sins, and ills. Practitioners are called upon to give Christian Science treatment not only in cases of physical disease and emotional disturbance, but in family and financial difficulties, business problems, questions of employment, schooling, professional advancement, theological confusion, and so forth” (Healing Unlimited 2012). Practitioners work with individuals seeking Christian Science healing by praying with and for them and guiding them to appropriate passages in Science and Health and the Bible. 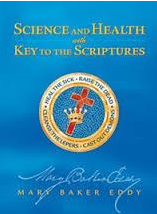 The six tenets that appear in Science and Health and The Manual of the Mother church express Christian Science beliefs. The format is reminiscent of the Apostles’ Creed but the content is distinctively Christian Scientist. Christian Science services, worldwide, follow the format set out by Mary Baker Eddy in The Manual of the Mother Church. There are two weekly services, the Sunday Morning Worship and the Wednesday evening Healing Testimony Meeting. There is a Thanksgiving service on a date corresponding with the United States holiday. In addition, branch churches hold a Communion Service twice yearly. The order of worship for services is prescribed by the Manual. Sunday services open and close with organ music; other music includes a performance by a paid soloist and hymns from the Christian Science Hymnal. There are no clergy in Christian Science; instead the service is led by a First and Second Reader who are elected for a three year term. The First Reader, always a female, opens the service with a brief statement and reads from Science and Health. The Second reader, a male, reads from the King James Version of the Bible. The passages are prescribed by an anonymous committee in Boston. 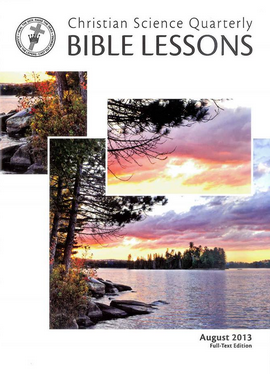 The Bible Lesson, used in all churches, is read by the First and Second Readers. Through the Christian Science Quarterly, congregants have access to the weekly Bible and Science and Health passages along with the Bible Lesson in advance and can study them prior to attending the Sunday service. The Wednesday evening Testimony Meeting includes prayer, hymns, and readings from the Bible and Science and Health. The testimonies of the people present are the focus of this meeting and include a variety of topics. People recount healings, solutions to difficult problems, and/or finding something lost. Those testifying at these meetings are not pre-screened; the forum is an open one. Although Christian Science speaks of the believer’s baptism and holds two communion services a year at the branch churches, they use neither water at baptism nor bread and wine at communion since they see these rituals as purely spiritual. Shirley Paulson (2013) writes, “Rather than a one-time ceremony with water, baptism is a conscious submergence in Spirit. Baptism in Christian Science is a frequent, holy, sincere purification alone with Christ. Ritual baptism with water is neither practiced nor required.” The Communion Service resembles the Sunday order of worship but includes an invitation by the first reader for the congregation to kneel in silent communion. 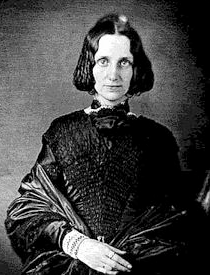 Mary Baker Eddy developed the organizational structure of Christian Science and presented it in the Manual of the Mother Church which states that “ The Church officers shall consist of the Pastor Emeritus, a Board of Directors, a President, a Clerk, a Treasurer, and two Readers” (Eddy 1910). Mary Baker Eddy is the Pastor Emeritus; she abolished the role of pastor completely in 1894 so there are no Christian Science clergy. Baker Eddy included several committees in her institutionalization of the church. These include the Board of Education and the Board of Lectureship. The Committee on Publication was tasked by Eddy with directly addressing any misinformation appearing about Christian Science. Branch churches are administered by their local members who must abide by the Manual. No emendations to the Manual (or the by-laws) can occur without the written permission of Mary Baker Eddy. There is an annual meeting held at the Boston church (and broadcast online) in early June. Members are not required to attend, but occasionally turn out in numbers large enough to require the meetings to be held in the 3,000 seat Church Extension. In 1899, Eddy established Christian Science Reading Rooms where material approved by the Board of Directors would be available to the public to read free of charge. 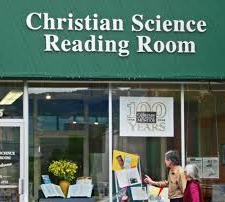 Staffed by Christian Scientist volunteers, the Reading Rooms also distribute copies of Christian Science materials. Many new religious movements and their founders have encountered opposition as they proffer their theology to the world. Mary Baker Eddy and her tradition, Christian Science, have not been exceptions to this. 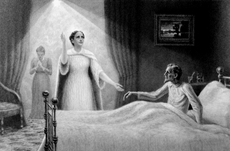 A woman presenting a new theology that challenged both the dominant Protestant religion of the nineteenth century and allopathic medicine encountered the wrath of both the religious and medical establishments of the day. Without meeting or examining Eddy, the Journal of the American Medical Association diagnosed her as suffering from “neural instability, obsessions, phobias, imperative ideas, catalepsies and well-poised megalomania” (“Editorial” 1907). In 1898, the Massachusetts State Legislature attempted to outlaw spiritual healing. Noted psychologist of religion, William James voluntarily testified in opposition to the bill. During Eddy’s life, newspaper coverage of her and her church were sometimes quite negative. Joseph Pulitzer’s New York World featured poorly researched articles about Eddy. A scathing fourteen-installment series by Willa Cather and Georgine Milmine appeared in McClure’s Magazine between 1906 and 1908. In response to what she believed were unfair press reports, Eddy founded the Christian Science Monitor in 1908 in order to print the news fairly and thoroughly. Ironically, the Monitor has gone on to win several Pulitzer Prizes. During her life there were internal issues as well. From time to time, Eddy’s students attempted to usurp her authority. She filed lawsuits against people she felt had wronged her, and she was the defendant in suits brought against her. The church by-laws she crafted were aimed to address these threats and by and large have succeeded. However, these regulations currently represent a challenge, since changes to the church structure are proscribed by the Manual without the written permission of Eddy. At the end of the twentieth century there were several, high-profile cases of parents whose children died while being treated with religious based healing; a few involved Christian Scientists. In response to these deaths, state legislatures began weighing the thorny issue of protecting both religious freedom and children’s health; several states overturned the protections their laws had afforded parents who turned to religious healing methods. Currently, thirty-one states legally protect parents from prosecution when their children die from causes attributed to spiritually or religiously-based healing. Of those, sixteen allow a judge to mandate medical treatment in life threatening situations. (Child Welfare Information Gateway 2014) State laws are amended frequently and can be interpreted in a variety of ways (Abbott 2009). In the 1990’s, a difficult issue emerged within the group; it began with the purchase of a television station by the Board of Directors in order to communicate Christian Science ideas more broadly. This expensive and unsuccessful venture into new media seriously strained church finances. In 1992, the possibility of receiving a substantial influx of money from the estate of the relatives of Bliss Knapp emerged. Knapp had been a devoted follower of Eddy and had written a book in 1947, The Destiny of the Mother Church , which proclaimed Eddy to be the Second Coming of Christ (Knapp 1991). In light of the large amount of funding this would bring to the recently diminished church coffers, the Board of Directors agreed to publish the book. Many Christian Scientists took issue with this decision and several protesting groups coalesced. This was not the first time the issue of who exactly Eddy was had presented itself, and Eddy herself had prohibited what she called “deification of personality” when she felt some followers where aligning her too closely with Jesus (Eddy 1894). The protestors saw Eddy’s prohibition of “deification” as clearly precluding publication of the Knapp text. The Board excommunicated several vocal protesters, a move that was rare but not unprecedented. Several key staff resigned, and the Board found themselves in a very contentious Annual Meeting in 1993. Ultimately, the Board left the decision of whether or not to carry and/or sell the Knapp book up to the local Christian Science Reading Rooms, and published a wide range of other biographies of Eddy. By the time the Mary Baker Eddy Library and archives opened in 2002, the protests were subsiding. In the twenty-first century the primary challenge to Christian Science is shrinking membership. Although Christian Science does not publish membership figures, the sale, relocation, and merger of hundreds of Christian Science churches in the United States and abroad and the declining number of Christian Science practitioners worldwide indicate a significant drop in membership. Reproductive rates that fall below what is needed to replace members who die (Stark 1998), coupled with the prohibition against proselytizing, make it difficult for Christian Science to maintain its membership. Competition from New Age healing techniques and fascination with Indian practices, especially yoga, also contribute to the substantial membership decline. Abbott, Kevin. 2009. Law and Medicine: Pediatric Faith Healing.” Americn Medical Association Journal of Ethics 11:778-82. Cather, Willa and Milmine, Georgine. 1906-1908. “Mary Baker G. Eddy.” McClure’s Magazine, December 1906 – June 1908 . Child Welfare Information Gateway. 2014. “Definitions of Child Abuse and Neglect” Accessed from https://www.childwelfare.gov/pubpdfs/define.pdf on 23 June 2015. Eddy, Mary Baker G. 1910. Manual of The Mother Church, Eighty-eighth edition. Boston, MA: Allison V. Stewart. Eddy, Mary Baker G. 1894. “Deification of Personality.“ Miscellaneous Writings 1883-1896. Boston: Christian Science Board of Directors. Eddy, Mary Baker G. 1892. Retrospection and Introspection. Boston: Christian Science Board of Directors. “Editorial.” 1907. “Mrs. Mary Baker Eddy’s Case of Hysteria.” Journal of the American Medical Association 7:614-15. Ehrenreich, Barbara and English, Deidre. 1978. For Her Own Good: Two Centuries of the Experts’ Advice to Women. New York: Anchor Press. Gill, Gillian. 1998. Mary Baker Eddy. Cambridge, MA: Perseus Books. Gottschalk, Stephen. 2006. Rolling Away the Stone: Mary Baker Eddy’s Challenge to Materialism. Bloomington: Indiana University Press. Knapp, Bliss. 1991. The Destiny of the Mother Church. Boston: The Christian Science Publishing Society. Healing Unlimited. n.a. “What is a Christian Science Practitioner?” Accessed from http://christianscience.org/index.php/whats-new/368-what-is-a-christian-science-practitioner on 23 June 2015. Paulson, Shirley. 2013. 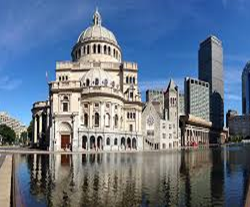 “A Self-Understanding of Christian Science.” Boston: n.p. Stark, Rodney. 1998. “The Rise and Fall of Christian Science.” Journal of Contemporary Religion 13:189-214. Peel, Robert. 1977 Mary Baker Eddy: The Years of Authority . New York: Holt, Rinehart and Winston. Peel, Robert. 1971. Mary Baker Eddy: The Years of Trial. New York: Holt, Rinehart and Winston. Peel, Robert. 1966. Mary Baker Eddy: The Years of Discovery. New York: Holt, Rinehart and Winston. Peters, Shawn Francis. 2008. When Prayer fails: Faith Healing, Children and the Law. Oxford: Oxford University Press.